In your Inbox, unread messages have bold titles. After you click on a message, and then click on something else, the message title is no longer bold, indicating that it has been ‘read’. 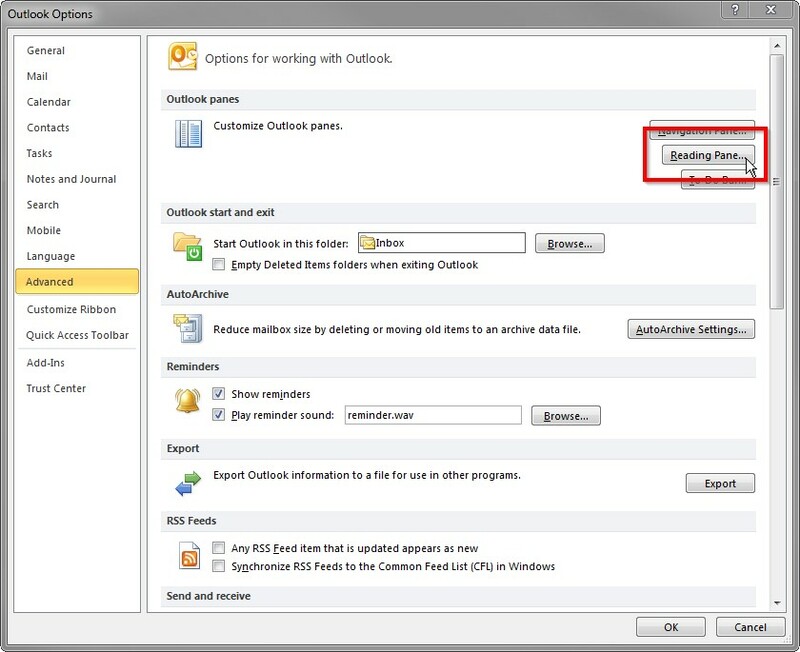 But there are times when you are quickly going through your emails and don’t actually read the content but Outlook marks them as ‘read’. This means that you need to mark them as ‘unread’ again (ie: they show as bold), so that you can easily find and look at them again later, which takes more time and defeats the purpose of quickly going through your emails. So, if you still want the message to be automatically marked as read when you are reading it, but not when you are quickly browsing through your emails, you can set a delay of several seconds before the message should be marked as read. For instance, if reading an email takes you at least 10 seconds and when you quickly go through your emails, you won’t be looking at the message for longer than 5 seconds, then you set your delay to 10 seconds.  Go to File → Options → Advanced. 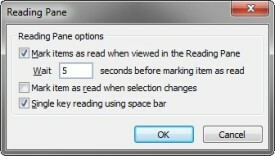 Check 'Mark items as read when viewed in the Reading Pane' and set an interval in seconds before it kicks in.